The members of the Melody Trucks Band also play well with others - music is not an exclusive art. We all have projects we've contributed to, different channels to stretch our musical voices. The Freight Train brought me closer to my father than I ever have been. The members of this group: Vaylor Trucks, Bruce Katz, Damon Fowler, Heather Gillis, Matt Walker, Garrett Dawson, and Justin Headley - are all family to me. There are no words to express how much this group of people mean to me. I met Bonnie Blue at the Ponte Vedra Concert Hall when they opened for the Freight Train. I loved their set and made a point to go see them every chance I could from that point on. Their originals are reminiscent of the greatest of our family genre, but with a fresh perspective. I was invited to sing with Heather Gillis at 1904 Music Hall in Jacksonville when she opened for the Corbitt Clampitt Experience. The energy that they had on stage was incredible. After connecting with Brady locally, I went to go and see his solo act several times and was equally impressed. The night I met the guys from Ginger Beard Man, I was absolutely blown away by the music that was coming out of them. Unbridled energy paired with undeniable chops.... Willis Gore was heading up to sit in with them, and they graciously invited me to join as well. It only took me 2 days to ask all 3 of them if they wanted to make some music together! The first time I ever heard Isaac Corbitt play, I was singing with Heather Gillis at 1904 Music Hall. She invited him up to sit in with us, and at some points during the song, I was so blown away by the sounds coming from his harmonica, that I would almost forget to sing. The Corbitt Brothers really have an incredible sound. Every musician in this group is top notch! These guys are the epitome of Americana! A night out with FWTR is an unforgettable experience. I was led to the guys by West Brook, who is such a regular sit-in with these guys, that they have become our extended family. Some of my favorite memories are set to their unique mix of folk and roots music! 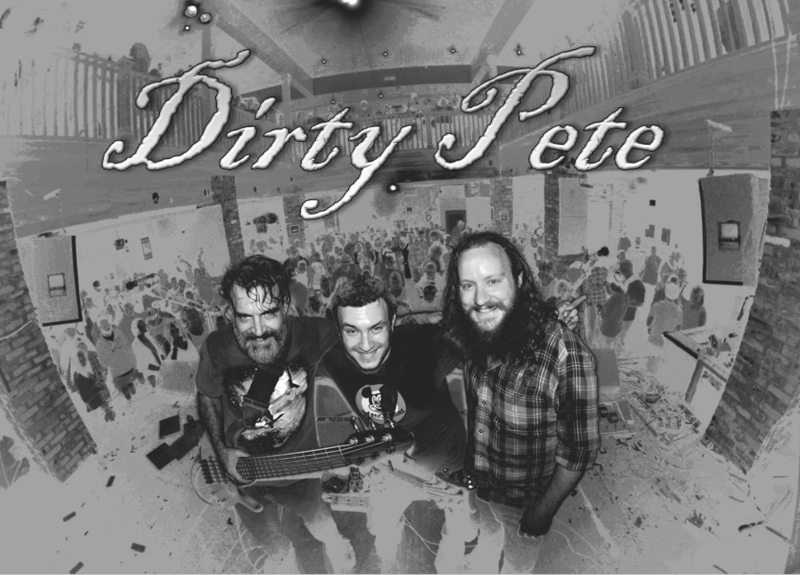 Dirty Pete..... what a crazy experience that is! These guys are raucous, hyper, loud, dirty, and just plain FUN! I LOVE these guys!